Although it has been already 6 years since the Tax Free Savings Account has been introduced as a registered savings account, many Canadians are still confused about how to use it to its full potential. 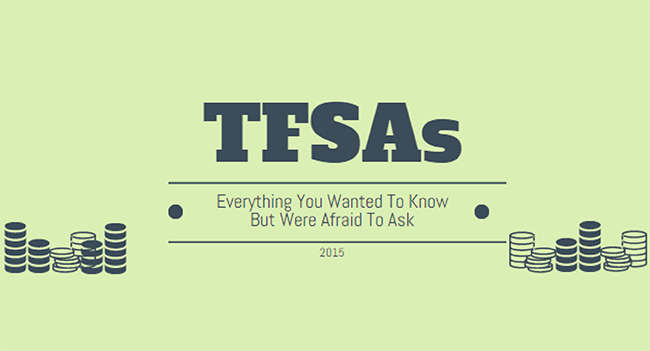 This article sums up all the benefits and clears a lot of doubts and confusion as to what a TFSA account does. However, there is one more point I have to add to this article is that I find that many people are confused about that they need to keep the entire TFSA account in one investment. That is not true and you can diversify as much as you like under the TFSA label. #1 Why is it called ‘tax-free’? #2 How is it different from any other savings account? TFSA can add other investments account than just a savings account. When you combine the higher returns these investments provide with tax-free growth, that’s when you maximize the benefits of a TFSA. #3 What happens if I don’t contribute the maximum amount? The unused contribution amount gets carried forward over the years. #4 What happens if I go over my contribution limit? Revenue Canada will impose a tax of 1% per month on every dollar you have contributed over the limit. #5 Can I replenish the amount I withdraw from my TFSA? Withdrawals from your TFSA don’t reduce the total amount of contributions you’ve already made for that year. You can re-contribute your withdrawals — but if you had already maximized your contributions, you would need to wait until the next year to replenish it.